Nokia has announced its grand re-entry into the smart phone market by releasing “Lumia 800” and “Lumia 710” smartphones that run on the Windows 7.5 ( Mango) OS from Microsoft . 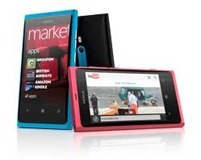 This is the first ever Windows phone launched by Nokia since it’s partnership with Microsoft on last February. « Did You Know That Diwali Is A 5 Day Festival?